This is what it looks like when a 45-year-drought comes to an end. Limerick fans have waited an awfully long time for the Liam MacCarthy Cup to make its return to the Treaty County, and now that it has, they're making the most of it. The streets of Limerick City are flooded tonight with green and white jerseys, green and white flags and joyous locals. Limerick overcame Galway in yesterday's All-Ireland Final by a single point in the end, after eight tenses minutes of added time, to secure a historic victory for the county. 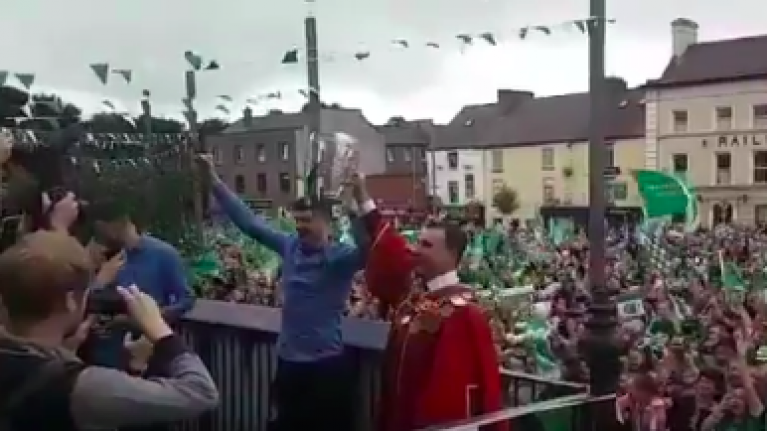 Footage from this evening's homecoming party, shared by Limerick City Council, show just what it means to the people of Limerick. You love to see it.